Every time website visitors find you and your offers online, they are immediately qualifying you as a potential supplier for something they need. Although things have changed in the way people do business on the Web, people still need to know, like and trust you to do business with you, and you still need to qualify people to determine if you want to do business with them. People have come to expect something of value immediately when they find you on the Web and they don't want to pay for this value initially. If you want to set yourself apart from most others, know that there is one thing cheaper than cheap, and that is "FREE". In any marketing campaign, the key component is a free offer, which has traditionally been a newsletter, an eBook or some kind of report. This gets people on your prospect list, but doesn't necessarily qualify them for your offer. Offering an instant assessment or evaluation provides visitors (leads) a good reason to give you their contact information. Once they have opted-in to your program, your instant assessment allows prospects to qualify themselves for your products and services. Properly done, you can create a scoring system to determine which prospects are best and least qualified for your targeted programs or other programs you offer. When you provide a newsletter, report or email offer, everyone gets the same thing, but with an instant assessment, everyone gets a personalized report based on specific answers given. This sets your business and brand apart from what most others are doing. It's unique. It's different. It is beneficial to your your prospects in that it is interactive. It engages your audience. Most importantly, it can qualify prospects for your programs. Your evaluation and assessment becomes valuable intellectual property that you own and control. All data collected can be summarized and used in your eBooks and eWorkshops to provide additional insights and real value to your prospects. It can also increase the book value of your company as you associate prospect generation and customer conversion with these types of programs. An expert systems designer to develop your program directly with you. A custom database application that captures visitor data. A secure reporting system that allows you to qualify each lead. A way to attach the tool on your website or blog. 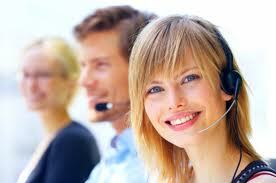 A contact management system - keep in touch with your prospects and customers. A blogging/article management system that you can use to build a sales funnel. An eWorkshop management program to allow you to provide your webinars online as part of your sales funnel, or as your product. We recommend attaching this type of interactive engagement to our membership program. Having your leads (annonymous visitors) opt-into a membership program saves prospects (opt-ins/members) a step for each new interactive program you launch online. As your members interact with each new program you launch, you can provide a rich, engaging and very personalized experience for them. Multi-tiered memberships also offer the advantage of multiple revenue models and a next step for each member you attract. Contact us through our business development program for details.